I have obstructive sleep apnea and I wear a Somnomed (SomnoDent) appliance at night. As a result, my bottom teeth and top teeth are meeting on top of each other and the bottom teeth are off to the side. I would to be able to straighten my bite and wear the sleep appliance at night. Is this possible? Please let me know if you have additional questions. I have consulted a prosthodontist who told me he needs to confer with my dentist and sleep appliance doctor. But they are busy and I want to know if my situation is something I must accept. There are many ways to “make you whole” and possibly offer long term cure to sleep apnea. A side effect of wearing a Somnomed Appliance or other sleep appliance is bite changes. These are usually mild but can be more severe. These are discussed at the start of treatment. The bite changes can be favorable or unfavorable. 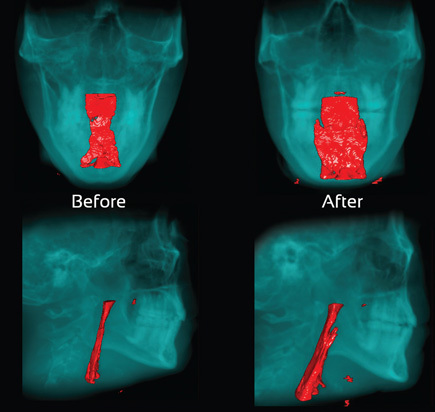 The are he result of the jaw healing to a position with a better airway. I have been utilizing sleep appliances since 1982 and bite changes are common. Ideally aggressive morning exercise prevents most changes but after they occur they are hard to reverse. 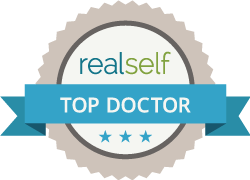 I have followed some patients for approximately 30 years and many never have issues. Sometimes the bite changes can be reversed if you use CPAP instead of an oral appliance to treat your sleep apnea. The changes actually are healing of the retro-discal ligaments of the TMJoints and muscles. They improve your daytime and night-time breathing, posture and actually make your face look younger and healthier but when everything is healed your bite looks wrong. I teach all my patients how to prevent changes before giving them an appliance. I often have patients who want permanent orthopedic change and this is accomplished with a plan rather than as an accident. The changes you see in essence explain why you originally had seep apnea. It is possible to orthodontically or prosthetically correct the bite but my preferred method is the RNA version of the DNA Appliance that orthopedically grows your maxilla to a proper size. Additional work may be required to finish case after the DNA Appliance. I frequently see long distance patients with difficult problems and the DNA Appliance lends itself to long distance treatment. The beauty of the DNA Appliance is that it has been shown in clinical studies to cure sleep apnea in some patients. Long term prospective studies are underway. The first video is a physician who is using DNA Appliance to grow larger airway. This is a month by month explanation of a long term patient utilizing DNA Appliance. It is also possible to do a full mouth reconstruction to a physiologic position. I currently wear the Summoned sleep appliance which I believe the only appliance my doctor makes. I would like to continue to wear this appliance because it helps my OSA without tearing up the inside of my mouth. I would like to correct my bite as my jaw pops and it is difficult to chew. Is my situation futile or can I do the bite correction and keep my current appliance? I see many patients who we treat for both TMJ and bite issues who also wear sleep appliances. I will usually make a daytime orthotic to treat the jaw issues that is worn when the sleep appliance is out. Treatment is usually divided into phases, the first phase is a diagnostic that can be adjusted over time during initial treatment. A second phase of long term stabilization is then done. This can be done with long term removable orthotic that would allow you to use your current Somnomed (SomnoDent) appliance. If you choose prosthetic or orthodontic correction you would need a new SomnoDent Appliance after the work was completed. The appliance can be adapted as you go thru treatment to maintain your treatment of obstructive sleep apnea. There are other options for long time stabilization but they would require replacement of Somnomed appliance as well. There are many signs and symptoms that are similar in Lyme disease to patients with TMJ and Sleep disorders. Frequently both of these conditions are overlaid. Treatment of musculoskeletal issues will not correct or cure Lyme disease but will improve the quality of patients lives. The following videos are of a patients suffering from both Lyme disease and TMJ. Patients who have been diagnosed with Lyme disease often develop symptoms that are not treated for the other issues that could improve their quality of life. The Sphenopalatine Ganglion Block is not specific for treating Lyme or TMJ but can give remarkable symptom relief to many patients. SPG blocks work on the Autonomic nervous system. THIS IS SIMILAR TO MYOFASCIAL PAIN AND DYSFUNCTION THAT IS PART OF ALMOST ALL PATIENTS WITH CHRONIC JAW ISSUES. Krista broke her appliance and locked and after the lock was reduced (took some time) she has made a decision to move to phase two treatment after 10 years of appliance wear. One week prior to this video she had bonded composites placed on 6 teeth to stabilize her bite without an appliance and an upper and lower DNA Appliance was placed. She begins the video with the appliance in her mouth, removes it and continues her story. She does not wear DNA Appliance at work or while eating but does wear it 16 hours daily to finalize TMD treatment.